Tout le monde peut le rejoindre. It's Tina here from Brain and Nerd with some exciting news for you all this week: Predestination has officially launched as of V1.2 (available now)! In brief, this means that the game is feature-complete, we're happy that the worst bugs are squished and feedback is good, and beta can be called completed. This doesn't mean that we're stopping development, far from it in fact. It means we're ready for the world to play the game and we don't want to hide behind the "Early Access" label while we continue to expand on the game, release patches, and work on free content updates and DLC. We plan to deliver all of that throughout 2019, by which point we will commence work on the expansion we promised, hoping to deliver it in 2020 or 2021. We expect a long shelf life for Predestination and hope to deliver consistent content drops throughout that lifespan. The cadence for that is yet to be determined, but we'll keep you lot posted about all updates first, as ever. The first major updates you can expect will be the next few episodic storyline missions (the first several will be in on launch day and we'll roll the rest out regularly), diplomacy voices, and more quality of life improvements and bugfixes. WHY PUSH THE BUTTON NOW? We have had a whirlwind few months of positive change and rapid development here at Brain and Nerd that has shifted our internal goalposts significantly. 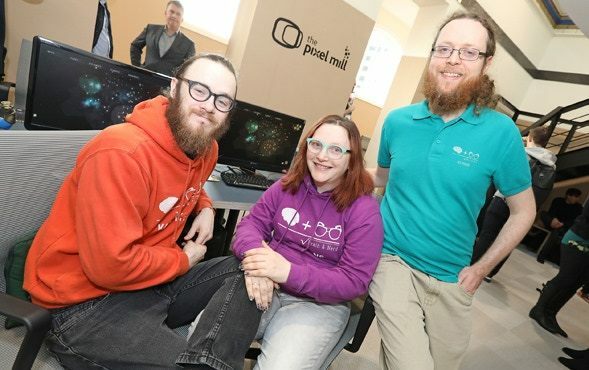 We were accepted into an NI game dev accelerator scheme in Belfast called the Pixel Mill, which has given us access to further resources and fantastic UK mentors who are an excellent source of support and advice. 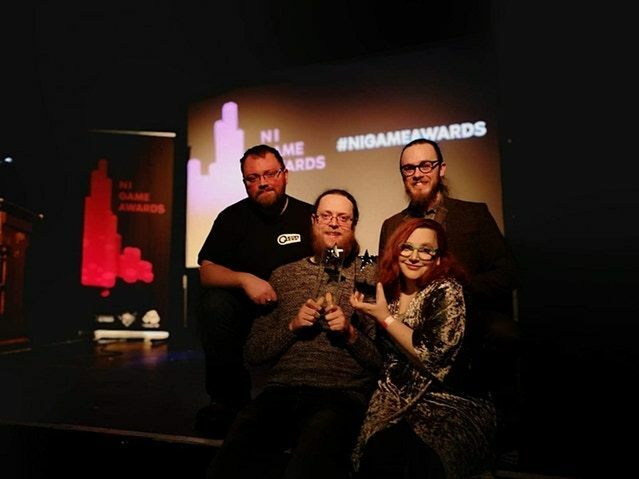 Predestination was shown on the BBC News website in a piece about the launch, and we were also astounded to recently win the NI Game Awards Game of the Year 2018 for the Predestination V1.0 build that took us into beta last year. Once we push the button, we're jumping straight into future updates including new story missions, races, and other content. We'll also be hotfixing like demons and planning DLC and free patches, the first major update of which will add more ships for the 3D ship designer and voicing for all races for the diplomacy system. We want to thank all of you so very much for all the love, support, and belief you placed on our shoulders: This has been more than a marathon and we know that no Kickstarted and Early Access games go exactly to plan, but we're happy to say we made it! This would have been impossible without each and every one of you, you're the real driving force behind our wee studio and have given us the chance to get to where we are today. Dev Update: V1.10 released. Simple Ship Designer, Refitting, Star Claims Overhaul, Asteroid Belts, Fleet Combat UI Overhaul, Race Iteration, and tons more! Dev Update: Major iterations on the way for Economy, Race Bonuses, Star Claims, Random Events, Asteroid Mining, Planets, Ship Designer, and AI!